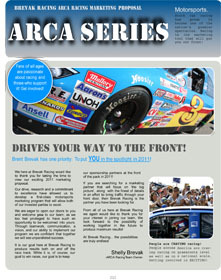 Brevak Racing can provide you with countless opportunities to put your business in the spotlight and keep it there! Through teamwork, communication, our vision and our ability to implement our program we are confident that together we will see unparalleled success. We’d love to discuss with you opportunities to spotlight your business! To receive a copy of our Brevak Racing Marketing Proposal please email us at sbrevak@brevakracing.com with the following information so that we can best serve you. After we receive your marketing request email, we’ll send you a confirmation email confirming that we have received your request for our marketing materials and a team representative will be in contact with you to arrange the shipment of your proposal. 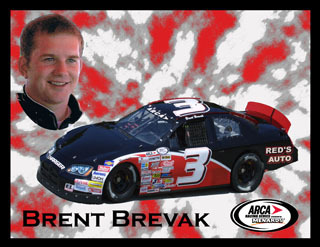 Thank you for your interest in Brevak Racing and the NASCAR Community!